A good Antipasto is made up of quality ingredients. Further, the right mix of products are needed to create that something special. 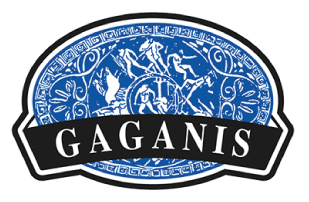 At Gaganis Bros, you will find premium grade ingredients to make your fine Antipasto selection. There are varying qualities of Artichokes. Our Artichokes are not to be confused with Jerusalem Artichokes. The Jerusalem Artichoke is a tuber and not a true Artichoke. It is part of the Sunflower family rather than the Thistle family. Our Artichokes are the true Spanish variety (also known as Globes - Cynara scolymus) from the Thistle family and we only select small 'hearts' to ensure you have the best tasting product. You will not find chewy or hairy parts of the Artichoke flower in our range. 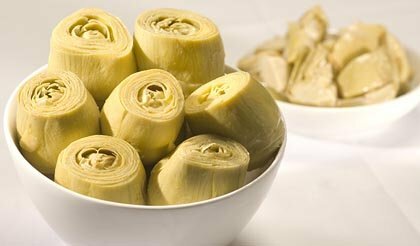 We stock whole Spanish Artichoke hearts in 390g tins and 2.5kg tins. The Artichokes are freshly preserved in the tins locking in their unique taste and nutritional benefits. Whole hearts can be eaten in a variety of ways, importantly, they are ready to eat out of the tin. The hearts can be sliced or quartered and then marinated in good quality olive oil, black pepper and oregano. Alternatively, try grilling them on a BBQ or hot plate whole, lightly marinated in olive oil and Nostimini. We also have Artichoke hearts that have been quartered and marinated ready for inclusion in your Antipasto platter. Our ready to serve marinated Artichokes are packaged in glass jars in the following sizes: 170g, 340g and 1.9kg. 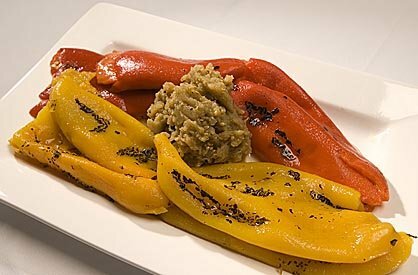 Good fire roasted Peppers are an imperial component of an impressive Antipasto dish. We have long Greek fire roasted Peppers, both red and yellow. With a slightly sweet taste, our Greek Peppers are truly pleasing to the palate. Our Greek roasted Peppers contain the true taste of the Mediterranean. They are packaged in large 4.2kg tins or more convenient 450g jars. We also have a unique range of Turkish quality red roasted Peppers. These firm red Peppers reflect the growing fields of Asia Minor and provide a slightly oriental feel about the produce. Our Turkish Red Peppers are packaged in 670g glass jars, and in tins of 3kg and 4.2kg. Both our Greek and Turkish roasted Peppers are ready to eat and can be added to your Antipasto platter strait from their package. For something special however, empty the package content, allow to the juice to drain - cut in strips, marinade with fresh garlic or Gaganis Garlic Paste, Greek Mountain Oregano, some balsamic vinegar and seal in with Extra Virgin Olive Oil. Simply serve strait out of the jar to complete your Antipasto range.